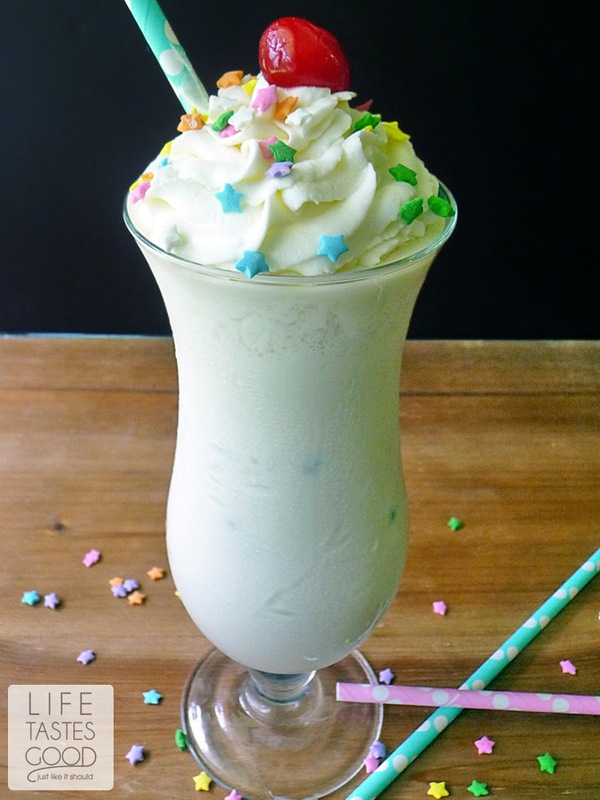 This scrumptious Funfetti Milkshake tastes like a birthday cake! It's true! It's a totally unique and delicious way to celebrate a special day! 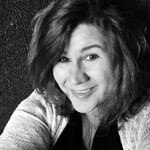 My friend, Terri of Love and Confections, is celebrating a milestone birthday today! Such a big event definitely calls for Funfetti!! I'm excited to share this treat in honor of Terri's big day! 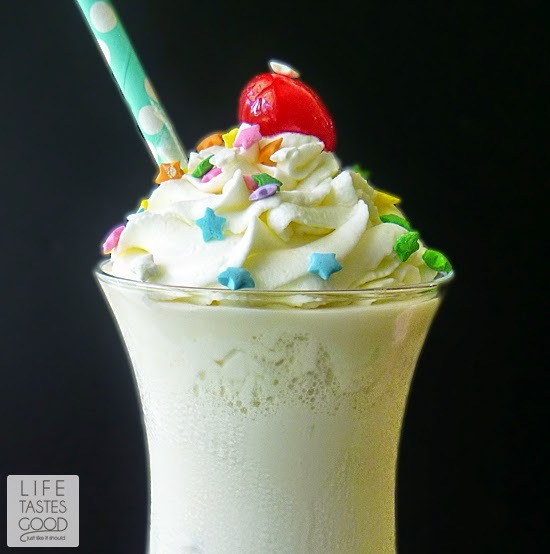 Funfetti is so festive and with only 3 ingredients it is easy to enjoy this milkshake whenever you feel like a celebration! Kids and adults, alike, will feel special when they get this delicious treat on their special day. Several friends are joining in Terri's birthday celebration, so be sure to scroll down to see all of the delicious birthday treats! Happy Birthday Terri!! I'm so excited to help you celebrate your special day! Cheers to you my friend! Join me and my friends as we celebrate with dishes, drinks and desserts for a milestone birthday party! Whipped Cream and a Maraschino Cherry for the top! In a blender combine 2 cups vanilla ice cream, 1/3 cup milk, and 2 tablespoons Funfetti cake mix. Blend until nice and smooth. Add more milk for a thinner milkshake. Give it a taste and if you prefer a sweeter milkshake just add more cake mix! Top with whipped cream, sprinkles and a Maraschino Cherry. Enjoy! :-) Funfetti is a perfect way to celebrate any birthday! I love it! Thank you so much Marion, and I will let you know how Savannah goes! Sounds like a perfect party celebration drink! Looks delicious Marion! What a perfect treat for a summer birthday! SO yummy, Marion! Thanks for stopping by Liz! Looks delicious. 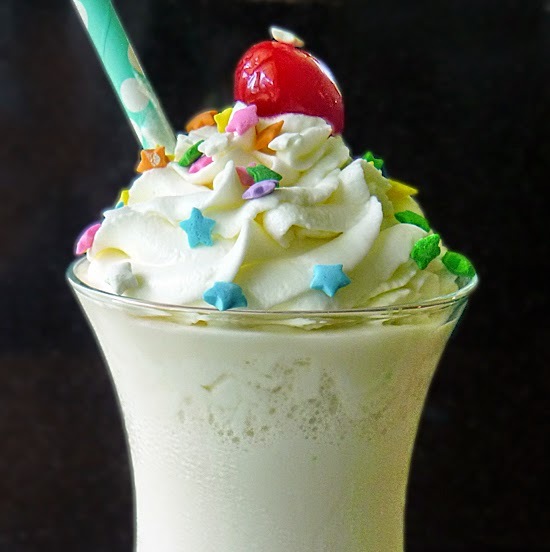 My daughter loves all things cake batter, she would love this milkshake! No doubt!! You can use any flavor too, but the funfetti is great for a celebration! Thanks for stopping by Renee! This is indeed a fun celebration milkshake! The cherry on top is the perfect final touch! Oh darn! I missed it! Better remind me next year!! Thanks for stopping by, KC!! I couldn't agree more, Shaina! It was fun celebrating Terri's birthday with ya! Next time I'm down south I'm coming over for one of those mojitos!! These are so fun! Love that they just have a few ingredients too! Perfect way to celebrate! Thanks!! What a fun birthday celebration! Love a good milkshake! What an appropriate way to celebrate Terri's birthday!